Summer football tournaments always provide us with moments that live long in the memory – and this summer the minnows are largely responsible. My memories of major international football tournaments are the same as most football fans’. Gazza’s wondergoal against Scotland, Dennis Bergkamp’s sublime effort against Argentina two years later, Brazil’s Ronaldo lighting up World Cups with those stepovers en route to goal. This year’s European Championships will live with me forever and not just because the country of my birth have taken part and made history. Northern Ireland’s qualification for their first major tournament in 30 years was special enough, before they went and beat Ukraine 2-0. Gareth McAuley’s header against Ukraine now heads my list of favourite international goals. It was unexpected, deserved and brought the green and white army their first ever win in a European Championships. The smallest nations in the tournament have not just been making up the numbers. Iceland, roared on in France by almost 10 per cent of their population, won so much admiration with that draw against Portugal. 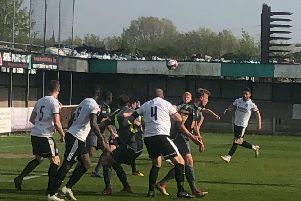 Sometimes a team’s fierce refusal to be beaten, and a little bit of luck, can be as pleasing to the sporting eye as a free-kick sent into the top corner or a full blooded volley off the bar. Especially when the result is a display of petulance from one of the game’s most famous faces. Albania’s goal last night was their first, ever, in an international tournament. The wild celebrations of goalscorer Armando Sadiku and his team-mates will be another memory to cherish from the summer of 2016. The historical significance of that header means so much more than every Spaniard touching the ball on their way to another beautifully crafted goal. Of course we’ll recall Dimitri Payet lighting up the tournament with his incredible ability to find the net in spectacular fashion. And the likliehood is that as the competition progresses, the big boys will take over once again and prove to be worth their ranking. But while it lasts, let’s enjoy the success of the little guys and hope they prolong their involvement. Northern Ireland currently top the ‘third-placed teams’ table and Albania are in the mix thanks to their victory over Romania. There might be a few more magnificent minnow memories to come.